Warning to the planet: you’ll soon see a bunch of kids decked out in the same clothes as Justin Bieber. This may or may not be a good thing depending on how you look at it… or if you’re a Belieber. The 22-year-old singer just announced a collaboration with Forever 21. The store will start selling his line of Purpose merchandise later this month. The good news for those who like Biebs and his style – it is completely affordable for the average Forever 21 shopper. Unlike his Barney’s collab which saw pieces retailing for $95 and more, Forever 21 & Bieber will range from $18-$35. They go on sale MONDAY August 22 online and in-stores Friday, August 29! 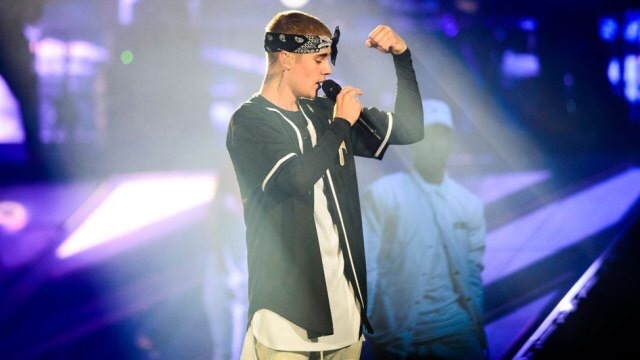 This might make up for the fact that Bieber deleted his Instagram upsetting fans all over the world… MIGHT! Posted on August 18, 2016, in #international, #retail. Bookmark the permalink. Leave a comment.